Ransomware has evolved from a relatively small hacker operation into a global IT epidemic, and one of the most dangerous security threats facing enterprise organizations today. Ransomware protection and mitigation planning is now a vital element of business continuity strategies in the enterprise. 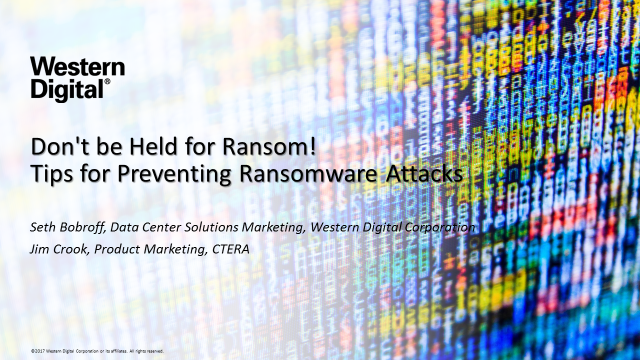 In this webinar we’ll examine how organizations can best prepare for a ransomware attack, which is becoming an increasingly common disaster scenario for businesses worldwide. It's time to protect yourself!